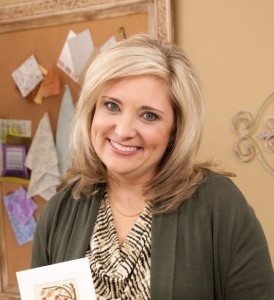 We want to thank designer Kay Gentry for guest blogging for us today. She is showing you how to get the best use out of our versatile strip cutter dies, which you can use to make a variety of different shapes quickly. Kay is also giving you tips on how to make her new GO! Strip Star Sampler pattern. Your scraps will thank you for pulling them out of the abyss of your tremendous fabric stash so you can utilize them on this fantastic GO! Scrappy Rail Fence Quilt pattern. This quilt is a beautiful expression of the multi-functional GO! Strip Cutter dies. Choose the colors in your scrap collection that speak to you, and watch the quilt come alive. Do you know how many amazing projects you can make with the GO! Strip Cutter dies? We have 16 of these dies that you can use to create a wide variety of beautiful projects. The GO! Strip Cutters with Angled Guide Lines are especially nice since the angled guide lines are printed right on the die foam for you. Yep, this means the 30, 45, 60, and 90 degree angles are already pre-printed on these strip cutters. With the angled guidelines you can sub-cut your strips into squares, triangles, and diamonds. Talk about versatile! Greetings fellow quilters and sewists! My name is Belinda Karls-Nace and I'm a quilting and needlework designer, creator, finisher, and teacher (and the author of the Samplings from a Blue Ribbon Girl blog). Quilting/needlework is truly my passion, obsession, and career.